This program follows first-year Police and Criminal Investigations of the Forensic Science department of a renowned British university as they use the skills they learned to solve an armed robbery, investigate abandoned vehicles and confront several horrific crime scenes. Forensics School � The forensics field applies the latest science to criminal matters relating to the law. Students participate in practice session that prepare them for an exam. Students learn how to remember details through practice. 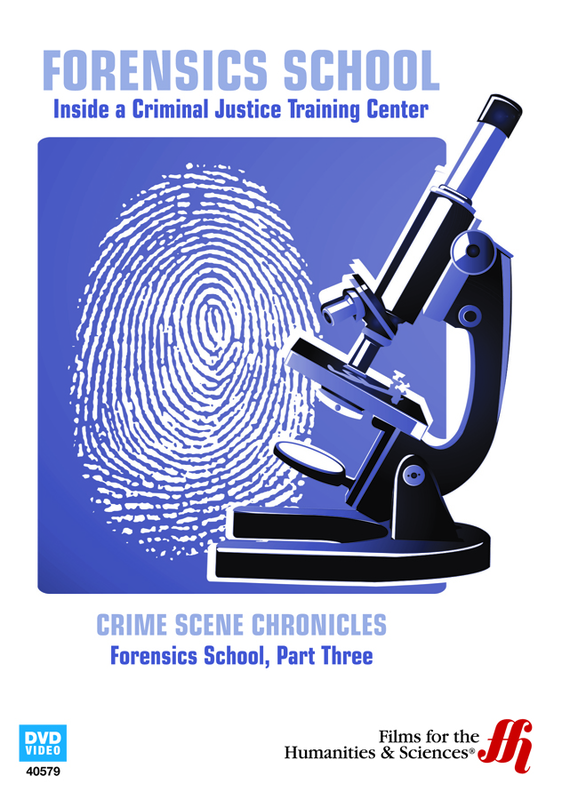 Forensics: Crime Scene Simulations � Around 80% of the students in forensics school are females. Students learn through hands on experience with crime simulations. They have a limited length of time to collect as much evidence as they can. Crime Scene Evidence � Forensic student teams study three different crime scenes. They gather fingerprints, take photos, and view each scene. A separate team has to match the evidence of the crime scene with other evidence found in the home of a thief. Mistakes at Crime Scene Investigations � Students gather up evidence at a crime scene, but they make mistakes while doing so which may compromise their findings. Time begins to run out even though the students have not gathered all the evidence that they need. Glass: Stable Form of Evidence � A student in forensics views glass samples in an attempt to match multiple pieces of evidence. Glass is a main type of evidence because fragments of it can reflect light in different patterns. Crime Scene Evidence: Analysis and Evaluation � Students analyze all of the evidence from the different crime scenes.